Worldwide, there are moves to reform policy and practice to enable open access to scientific information – changes that will have far-reaching effects on public access to data, and something that TERN has embraced wholeheartedly through its Data Licensing Policy. Eco-informatics via its Data Custodian Reference Group provided substantial input into the policy’s development and already has applied the policy successfully for publishing several government datasets in ÆKOS (the Advanced Ecological Knowledge and Observation System). 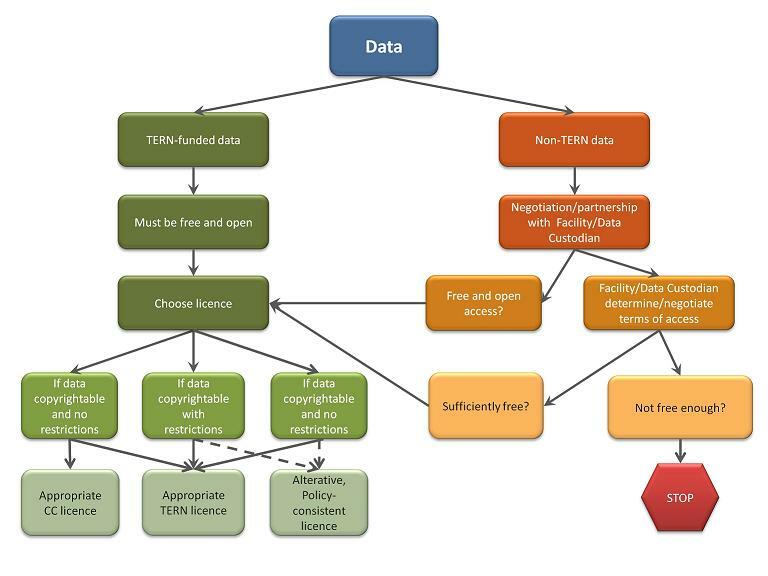 Thanks to TERN, terrestrial ecosystem researchers now have access to a new data licensing policy that makes it easy for researchers involved with TERN to quickly read about different types of licences for making their scientific data available for free open access. TERN’s Data Licensing Policy brings together key licensing conditions identified by TERN’s facility partners in a set of principles. The Director of TERN, Professor Tim Clancy, said the policy sets out 10 principles for licensing research data about terrestrial ecosystems. ‘It takes into account the network nature of the TERN facilities and their host organisations, the differences in the structure and purpose of the facilities that make up TERN, the differing and complex nature of terrestrial ecosystem research datasets and the importance for data custodians to be duly acknowledged,’ Tim says. The policy guides users to freely share, modify and use datasets while maintaining this same freedom for others. However, there are circumstances such as pre-existing obligations and ethical considerations that prevent totally open access in all instances so, to keep the policy flexible and responsive to the needs of custodians and users, a suite of licences has been developed for licensing different types of data. Most importantly, and in contrast to most open-access licence regimes to date, the licences are not just applied to data that is subject to copyright protection. Datasets that have data not covered by copyright, such as “facts” or “observations” are still covered under TERN’s licence policy. A simple ‘how to’ guide for applying these licences is provided in the policy (see diagram). Facility Director Mr Craig Walker said Eco-informatics had successfully applied the TERN’s policy to arrange licences to cope with the complexity of government and TERN’s Multi-Scale Plot Network data. The University of Adelaide, the organisation that operates Eco-informatics, has negotiated the use of five Creative Commons Attribution 3.0 Australia licences with the governments of Western Australia, South Australia, Queensland, and the Northern Territory, and with CSIRO and a Creative Commons Share-Alike 3.0 Australia licence with the Australian Bureau of Agriculture and Resource Economics and Sciences. Craig said Eco-informatics was finalising a TERN Attribution Licence (called TERN-BY) for an additional government agency concerned over datasets not covered by copyright. The full richness of these data with clear licencing information will be published via the ÆKOS data portal. ‘TERN’s licensing policy has been relatively straightforward to implement from our perspective’, Craig says.